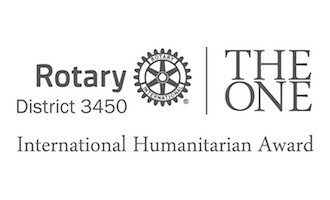 In the year 2005, Past RI President Carl Wilhelm Stenhammar proposed World Literacy in Action and encouraged every Rotary Club in our Rotary World to consider adopting a School. 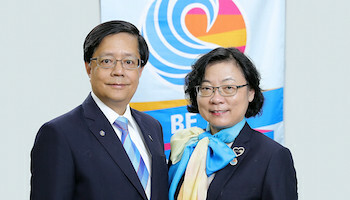 Past District Governor Peter Wan initiated the idea of Rotary Adopt A School project to all Rotary clubs of our district.He formed the committee and was the first Chairman of Rotary Adopt A School programme, working with the Education Bureau as our service partner. The First Signing Ceremony was officiated by Professor Arthur Li and then District Governor Tony Wongwhich was held on 4 October, 2006 with 9 partnerships established involving 10 Rotary Clubs. * Independently operated and administrated by its Organizing Committee with district support, no mandatory activities prescribed. * Rotary Clubs and their Rotarians use their business and professional knowledge, skills and experiences to support schools, teachers and students. * A project in response to the need of the current Education Reform, New Secondary School (NSS) and school development especially in Hong Kong. * A visible community project in collaboration with the Education Bureau. * Common activities undertaken so far: student / teacher mentorship, celebrity and career talks, students and parents workshops, vocational visits and language skills training etc. Why Rotary Clubs join RAAS? Through the simulation activities of the Mock Court Programme, students are given the opportunities to understand the operation of the legal system, criminal prosecution and defence procedures, cultivate a critical way of thinking, broaden their exposure and learn from leading professionals including experienced barristers, magistrates and police officers. This year, we have a new service partner, Customs and Excise Department involved and the Customs Headquarters Building Visit widened the learning scopes of students. With the help of IPP Jimmy Ma, who is Legal Adviser of the Legislative Council Secretariat,RAAS has a golden opportunity to hold Mock LegCo twice a year, one in May while the other in October. The administrative committee provided information about the civic education activities organized by the Legislative Council Secretariat to encourage the participation of students.One of the aims was to enhance students’ understanding of the work of the legislature, to increase their public awareness and political interest. To promote public awareness to students on the needs and abilities of the people withvisual loss in sports training and competitions; the visually challenged regained their self-confidence through the participation and the success in sports competitions. We recruited Rotarians, all family members under Rotary umbrella, 15 RAAS partnering schools with 1400 students/teachers/their family members and corporate staff as guides for visually impaired athletes. A new Guinness World Record of “The Longest Handshake Chain” was created by 3,434 participants at 3:23 p.m. of 2nd November, 2013 at Tseung Kwan O Sports Ground, Hong Kong inclusive of Rotarians of Rotary International District 3450 and the visually challenged members of Hong Kong Blind Sports Federation, RAAS students in this first ever territory-wide event so as to build a harmonious society. Mrs LAM Cheng Yuet-ngor, Carrie, GBS, JP, Chief Secretary of Administration and many Guests of Honour officiated the ceremony. It has been the 3rdconsecutive year that RAAS supported CDMF Carol Singing Festival with a marathon caroling event. Within these three years, our RAAS recruited over 3,000 performers and raised nearly HK$400,000 to support the disadvantaged youth in Hong Kong. The funds raised are used towards matching the personal savings of deprived youth, as a part of Child Development Fund, an internationally proven poverty alleviation programme. We had over 1,000 participants from RAAS partnering schools and Rotary family members to sing on 15December 2013. Besides carol singing, Non-stop Rotary Performance also included sessions of Chinese drama, poetry recital, and Kung Fu performance. This event provided a platform for students to show their talents and to support their disadvantaged peers. This entry was posted	on Monday, May 19th, 2014 at 9:23 am	and is filed under RAAS. You can follow any responses to this entry through the RSS 2.0 feed.Both comments and pings are currently closed.